Family discount: free admission for the 3rd child in the same family aged over 4 years old. These rates include access to the castle, gardens as well as the loan of an audioguide (english, german, italian, spanish, dutch). de Loches, Jardins de Poulaines, Château de Montrésor, Château de Montpoupon, Abbaye de Noirlac et Réserve Naturelle de la Haute Touche. for every 20 paying entries. The bus driver is given free entry. in writing. The number of participants, date, arrival and departure times, services contracted plus complete contact information should be sent to our booking department to draw up a contract. Tourist Office car park, car parks on Avenue de la Résistance and Route de Loches, fairground. Free lockers are available at the ticket office for helmets and bags and at the château visitors’ centre for pushchairs and strollers. A baby changing area is available for families in the toilet facilities and a bottle warmer can be provided by request. The park has a picnic area near the playground. Dogs are only allowed in the park and must be kept on leashes. Many free parking spaces are available near the château. A free car park for buses is located 100m from the château. A bike shed is located by the ticket office entrance. Different means of payment are accepted: Debit or credit card (except Amex), cheques, cash, chèques vacances, chéquier CLARC, chèques BEST (Essentiel, Liberté, Culture), CADO chèque (Culture, Sélection), chèque KADEOS (Horizon, Infini, Culture), chèques TIR GROUPE (Bonheur, Liberté, Rentrée), chèques HAVAS, chèques universels. The Château de Valençay gift shop is open every day and accessible without a ticket. It offers over 2,000 items and is located in the former carriage room. Here, you can discover regional products, a wide range of specialised books on Talleyrand, Napoléon and the history of France, toys for children and many elegant products. Château de Valençay actively works to improve the comfort of its visitors by providing specially designed services for people with reduced mobility or disabilities. Reserved parking is available in the outdoor car parks. A wheelchair access ramp is provided at the entrance of the château to visit the ground floor and at the Theatre for private tours and access to shows. Seating is also provided in every room of the château and in the gardens and park. Adapted toilet facilities are available to visitors. Dogs accompanying people with disabilities are allowed inside the walls surrounding the monument. Visitors with disabilities benefit from a reduced rate. Discover a remarkable collection of over 60 operational vintage cars since 1898 retracing the history of the Automobile. Fire engines, motorcycles, bicycles and more…. will thrill visitors of all ages. The Domaine de Poulaines is in the heart of a small town in Berry, 7km from Château de Valençay. It will take you from the bamboo garden to the Koi swimming in the spring all the way to the Arboretum and its 400 identified trees. At the heart of the natural region of Champagne Berrichonne, enjoy the charm of Château de Bouges and its refined 18th century setting. The quality of the furniture chosen by its last owners beautifully complements the elegance of the architecture. Ranked the #1 zoo in France and among the most beautiful zoos in the world, ZooParc de Beauval presents the greatest diversity of wildlife in France: nearly 6,000 animals, including 2 giant pandas. Step back in time to a thousand years ago by visiting the Royal City of Loches, to meet the great figures that made these places famous: women of influence and power such as Joan of Arc, Agnès Sorel and Anne of Brittany; kings including Charles VII and Charles VIII; as well as famous prisoners such as French Cardinal Jean Balue and Ludovic Sforza. The Domaine de Cheverny is a seigniorial property has belonged to the same family for over six centuries. 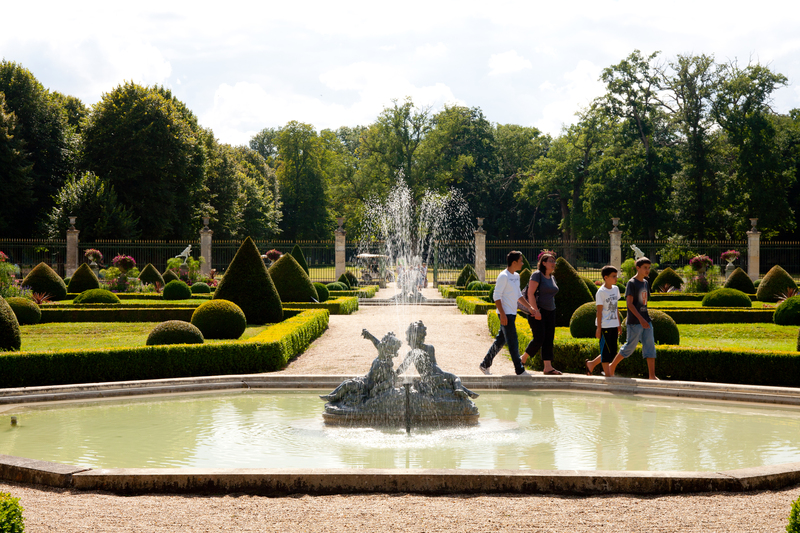 From the botanical gardens to the inside of the château, from the kennels to the Tintin exhibit and from the gardens to the forest park, the owners invite you to discover a lively authentic heritage. The Domaine de Chambord is made up of a castle, a village, farms and a wooded area of nearly 5440ha, which is about half the size of Paris itself. Built on the orders of François I during the Renaissance, this château is one of the largest castles in France and offers many tours and activities. Residence of 7 kings and 10 queens of France, Château de Blois expresses power and the daily life of the Court during the Renaissance demonstrated by the furnished royal apartments embellished with polychrome decorations. Its courtyard offers a panoramic view of French architecture from the Middle ages to the 17th century. Property of the crown, and then a royal residence, Château de Chenonceau is a complete site in its original design, collections, furnishings and decorations. It was also loved, administered and protected by many women who, for the most, played a key role in history. Chaumont-sur-Loire, which was the property of Catherine de Medicis, Diane de Poitiers and Marie Say, Princess of Broglie, welcomes visitors all year round in its beautifully furnished rooms embellished in recent years. You will be surprised, delighted and moved by the many contemporary art pieces placed in the château and scattered throughout the park. 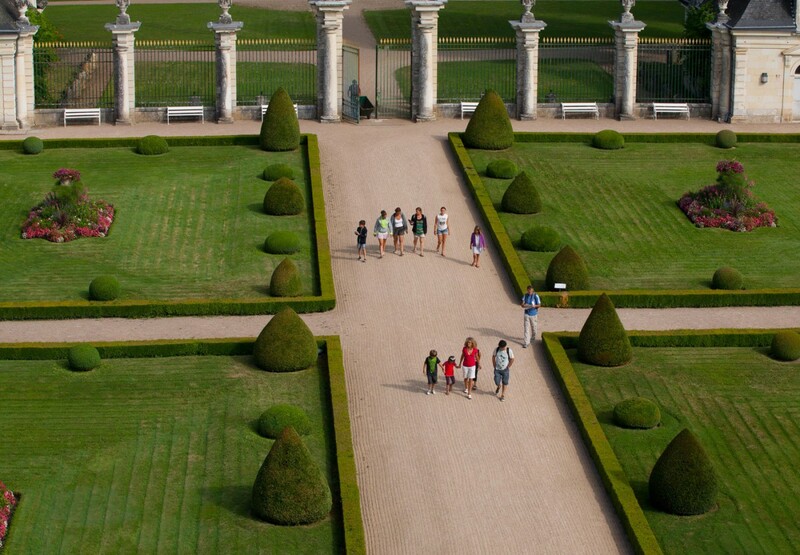 This emblematic monument and its landscaped gardens offer one of the finest panoramic views of the Loire Valley. Each tour takes a unique look at this place of high renown in the history of France: its European political and artistic influence in the Renaissance; private moments of the lives of sovereigns; everyday life and behind the scenes of the royal court. 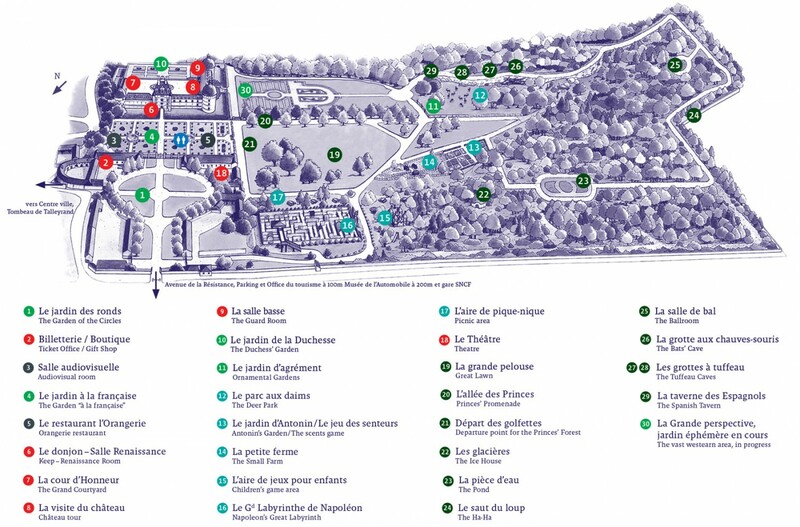 Along with thirty other sites of the Loire Valley, Château de Valençay is committed, in partnership with the Touraine Tourism Board (www.touraineloirevalley.com), to a common state-approved quality approach. A quality charter was signed by 18 major sites of the Loire Valley as a drive for excellence. This agreement, initiated in 2008, is intended to enhance the level of hospitality and services at the sites and allow them to obtain the “Qualité TourismeTM” label, issued by the French Ministry of Tourism. The Château de Valençay also has the “Maisons des Illustres” label, given by the Ministry of Culture and Communication. This label was created to inform the public of places whose mission is to preserve and spread the history of the men and women who lived there and have distinguished themselves in the political, social and cultural history of France. The “Maisons des Illustres” label groups different places of memory together in order to make connections between the private and collective events of both local and national history. To date, over 170 homes have been given this label.